INSPIRATION is a tool to discover novel sensorial experiences and galvanize creativity. Providing pleasure, surprise and motivation, it aims at awakening formulators’ inner imagination. INSPIRATION is a set of topics, each of them bringing a new breath through innovative textures and visuals. The formulations, that illustrate each topic, will help you to rediscover our ingredients outside of their comfort zone. 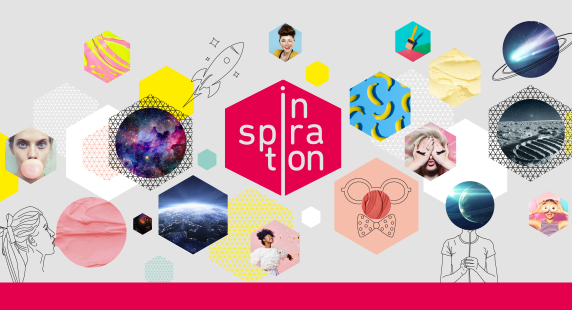 In 2019, INSPIRATION presents two topics: OUT OF THIS WORLD and INTO THE FUN. Moon Mask (2040-2.19): a natural lunar mask with a grey texture which revitalizes and protects the skin from negative waves. Milky Way (2056-1.22): a natural body milk which repairs and moisturizes damaged skin. Unidentified Formulation Object (2134-1.07): a highlighter with a cosmic color which disappears instantly and leaves a unidentified soft glow. Fake Paint (2132-1.02): a formula which mimics gouache tubes of our childhood. Banana Peel (2098-1.12): a gourmand massage cream which offers a moment of playful and pleasant relaxation. Gummy Mint (2133-1.06): a green foot cream which is as elastic and refreshing as a real chewing-gum.